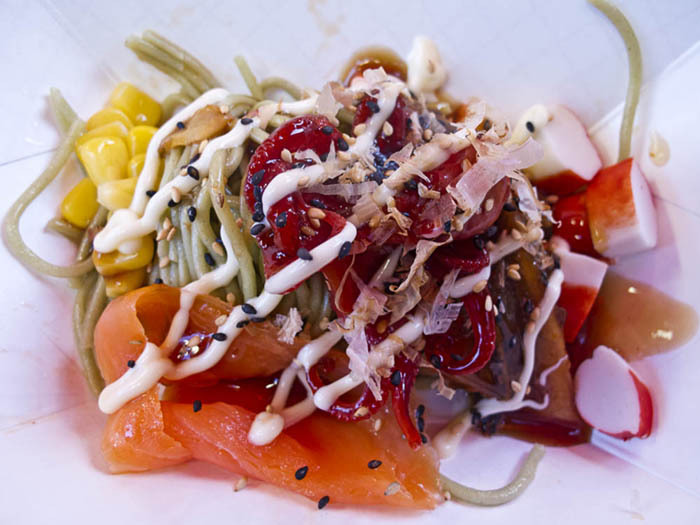 Caption: Soba Japanese buckwheat noodles topped with assorted vegetables and fish served at Richmond Night Market, Richmond, British Columbia, Canada. Comments: Soba Japanese buckwheat noodles topped with assorted vegetables and fish served at Richmond Night Market, Richmond, British Columbia, Canada. This one is topped with a tiny octopus.